In the now-familiar climate of stretched resources and affordable housing demand far outstripping supply, public sector appetite for innovative but viable housing delivery models continues to grow. Councils are starting to use a variety of public-private partnership models, while the proposed removal of the Housing Revenue Account borrowing cap would allow more in-house development. Community groups, often with professional partners, are developing new approaches for large sites as well as smaller ones. Whether new-build, self-build or estate regeneration; and run as community land trust, co-housing or co-operative, CLH is owned and managed by residents and held to protect community benefits in perpetuity. The model can deliver genuinely affordable homes, but going beyond bricks and mortar, community-led schemes can strengthen local networks, promote well-being, deliver social value and cater to the aspirations of a growing number of older Londoners. Schemes such as New Ground in High Barnet and St Clement’s in Mile End show that CLH can work in London. 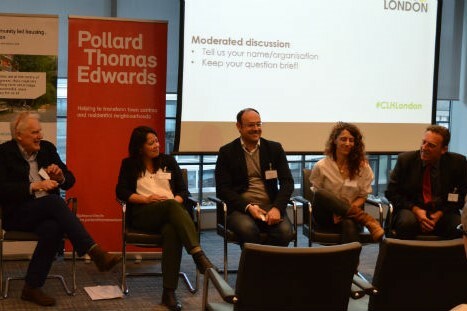 There is political will and funding for delivery – what’s often lacking is capacity, knowledge and confidence within boroughs to advise CLH groups, and access to project management skills and start-up capital for CLH groups. 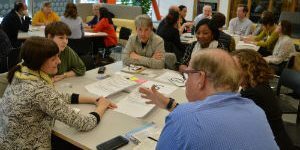 Starting in February 2019, Future of London’s new project on community-led housing will convene and build on existing efforts, showcasing the potential of CLH to our network of public-, private- and third-sector practitioners, and helping CLH groups and delivery partners work together effectively. 24 April, 2.00-5.00 pm – Workshop: land and planning – Full. Join the waiting list here. 4 June, 9.00am-12.00pm – Workshop: finance – Save the date! 24 June 2.00-6.00 pm – Applied learning surgery – Save the date! We’re keen to connect with organisations involved in delivering community-led housing schemes throughout London. If you have experience to share or are interested in partnering with us on this project, contact Charli Bristow.